As I look back over this past weekend I sigh a happy sigh. I am not gonna lie. It had its rough spots. My days aren’t perfect by any means. But it was a wonderful weekend nevertheless. And I spontaneously decided to go quilt shop hopping. I found these at Millie P‘s. 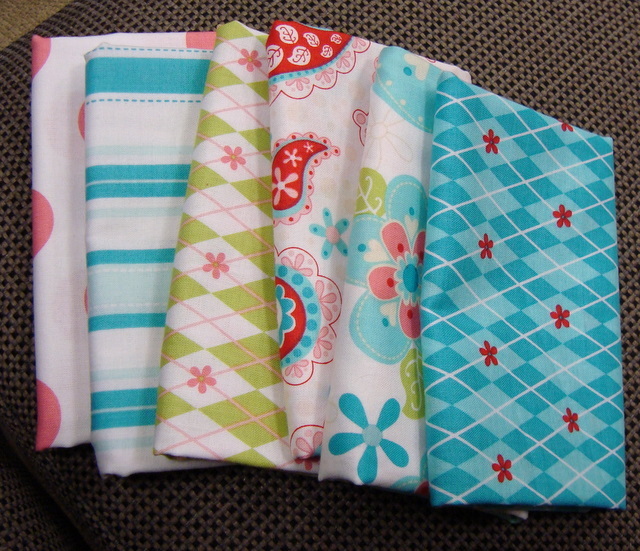 I was so excited to bring them home and add them to my collection of Riley Blake fat quarters, that while waiting for the evening church service to start I had to take a peek at them. My sister sitting next to me was quite weirded out by my obsessive pleasure. I don’t think she understood my joy. I don’t think any of my family except my quilter mom really understood. I don’t think I would either if I were them and saw my oldest sister walking around the house with this in her hands. My plan is to keep this quilt on the back burner until I am so fed up with the Amazon Star that I am ready to chuck it. 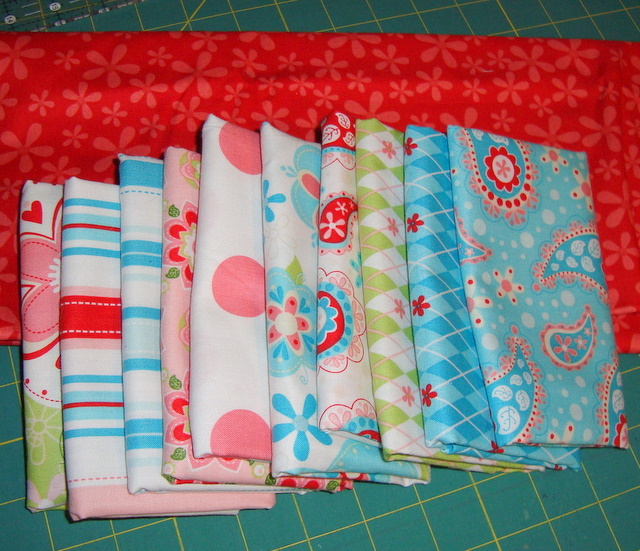 These fat quarters and an easy pattern will be great therapy. For now I will just take them out when I need a smile or some bright color. On Sunday my family harvested and processed the corn from our garden. I was hoping to get something done on my Amazon Star. I had started cutting it out days before and hadn’t had the time to touch it since. But it was not to be. I spent the day with my family. I thoroughly enjoyed it though. I was keeping busy, but was off my feet for most of the time. And it was just enjoyable to be home. I really can’t describe it. All my life I have lived at home. Because I was homeschooled I was home most of the time. Now that I work I am rarely home. Home is my comfort zone. It has its worries and struggles but it is the place where I know that I can crash. So it was very enjoyable just to be home and to be back into my old routine. Today was similar in that we worked in the garden. Potatoes don’t take as long as corn does so this afternoon I was able to carve out some time for my Amazon Star!! Look at that mountain of leftovers. I am really glad that I saved them. I have had to dig through them already. 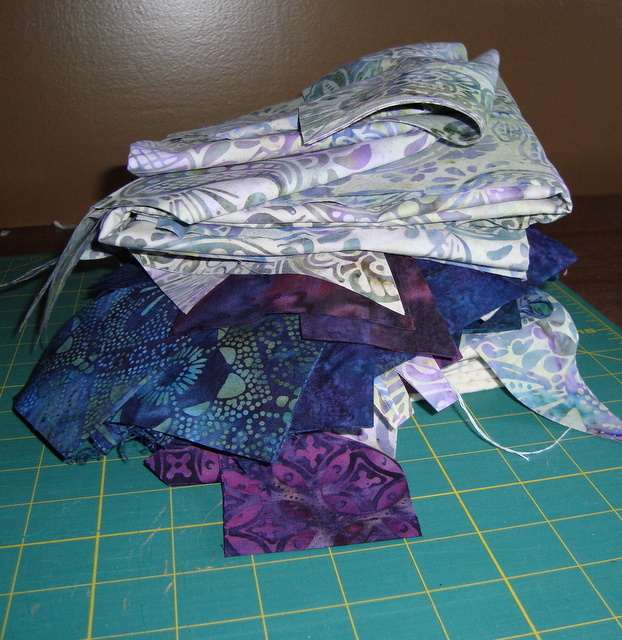 I have a feeling that it will take me awhile to get used to this paper piecing business. But I got three pieces done for the center star!!! Only five more to go!! I think I will like this quilt better than my double wedding ring. The wedding ring was a lot of repetition. 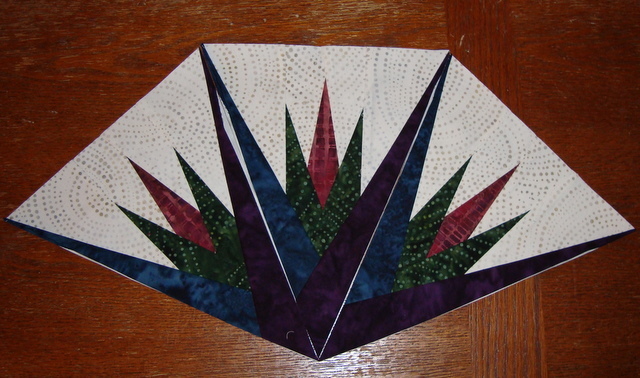 This quilt has that, but has enough variety to keep me interested. This Memorial Labor day(I don’t know why I have been calling this holiday that….maybe I am wishing that summer isn’t coming to an end.) is over. Tomorrow you will find me back at work. I think I will enjoy my day more fully. I don’t think I would have without the break. Hello friend! How did you find my blog? 🙂 Love the quilting! The Amazon Star looks amazing! And I am totally with you with fabric lust.